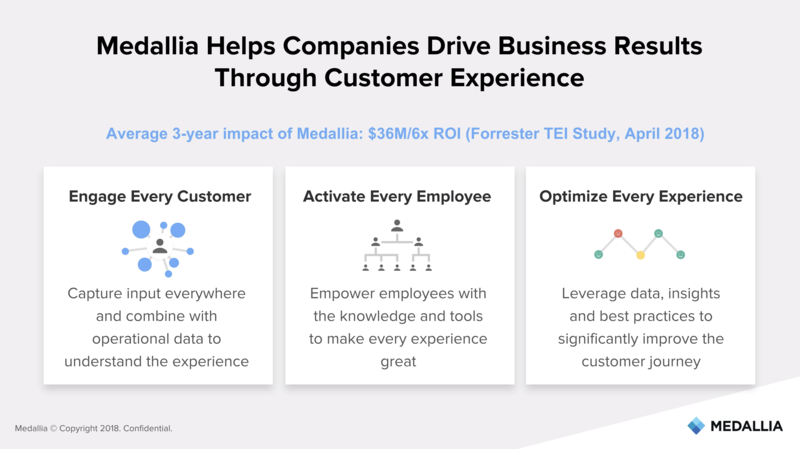 Medallia can be used as a stand-alone customer experience management system but I find great value in using Medallia completely integrated with Salesforce. It then creates a force to be reckoned with. In B-to-B this it is very important to have a real-time customer experience system so that you know what your customers are saying at any given minute. And I can't begin to tell you how important this is for a SaaS company. Integration with Salesforce: Medallia can be fully integrated with Salesforce or other CRM systems with all the data in both places and Account Managers/Sales, CSM's, Support, Onboarding, executives, etc., never have to leave SF and they have a Dashboard in SF tailored to their role. All data is available in real-time. Closed loop: Great closed-loop where alerts are sent out to the right person in real time if there is a detractor or dissatisfied customer. This means you can contact the customer within 24 hours, which wows your customers and makes it easy to move to customers from a Detractor to a Promoter. Actionable insights: Medallia has amazing dashboards, that give you the data you need along with text analytics to make changes based on your customer needs, pain points and trends. It gives you all the tools you need to take the right actions to improve you customer experience and the bottom-line. Nothing at this time. When I first started I had features I needed but they are now all implemented. This is a very customer focused company. If you have a very large business with multiple outlets, Medallia is a reasonable choice to make because of the major scalability and the vast amounts of data you can collect. If you are a small, one-off, or independent business, it can be very costly and not all of the tools are necessary for you. I do not like the user experience or report visualizations as much as the reports on Revinate and TrustYou. Revinate is my favorite of the three so far.